In a recent article, it was announced that President Buhari had given the Nigerian Petroleum Development Company (“NPDC”) the approval to corporatise its joint venture assets and convert them into Incorporated Joint Ventures (“IJV”). The IJV structure has been floated at least since 2008 when the first draft of the Petroleum Industry Bill (“PIB”) was issued. That draft of the Bill mandated the formation of IJVs with respect to joint ventures between the Nigerian National Petroleum Corporation (“NNPC”) and its partners (mostly international oil companies). The IJV was seen as a solution to the perennial difficulties faced by NNPC in financing its share of the joint venture cash calls. This was based on the theory that an IJV was likely to be in a better position to raise money from loan and equity markets. This concept, loosely based on the NLNG model, was resisted by the joint venture partners for a variety of reasons and was removed from subsequent drafts of the PIB. It is not clear whether NNPC/NPDC believes that the local companies are soft targets for implementing the IJV strategy or whether this is a first step which may be extended to all companies in a joint venture with NNPC. Whatever the case, it is worth noting that unlike the IOCs, most of these companies are single asset companies, which means two things. One, the success of the asset means everything to the company, its owners and its employees. Therefore, these stakeholders will be averse to any change which they consider may affect the economic potentials of the company. Two, most of the companies and/or its owners are substantially leveraged from the acquisition of the assets and the lending banks will have a say in any proposed reforms. There is no indication (at least not yet), that these companies would be compelled by law, as previously proposed under the 2008 PIB draft, to enter into these IJVs. This allows for detailed negotiations on the form and substance of the IJV structure which may emerge. This brief paper will not be examining the merits or demerits of the IJV structure. It only seeks to enunciate two options, which may be taken by the NPDC and the joint venture partners in achieving the IJV structure. In doing this, we show that the process of conversion itself is not that simple and requires all parties to put a lot of thought to the issues likely to be faced. Before looking at the options available, it would be useful to comment on the characteristics of the current unincorporated joint venture structure, which may impact on its conversion. 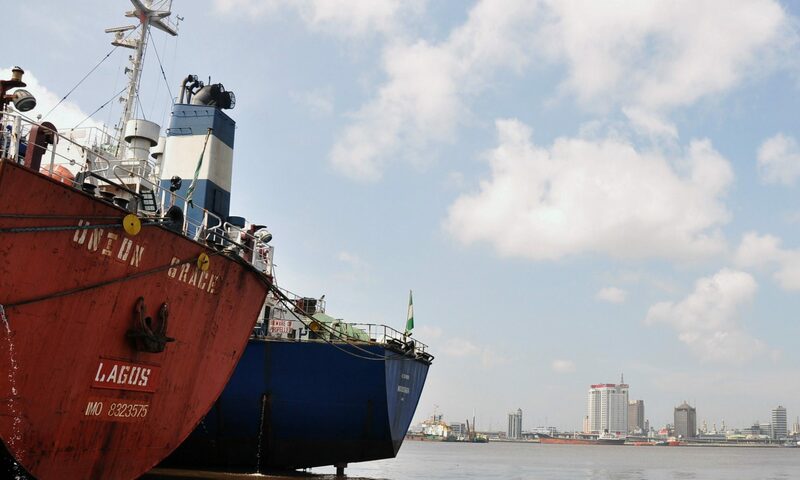 Rights to explore for, develop and produce petroleum are granted in Nigeria through the award of Oil Prospecting Licences (“OPL”) and Oil Mining Leases (“OML”). Typically, two or more parties would become the licensee and enter into a joint venture governed by a joint operating agreement (“JOA”). The JOA, amongst others, spells out the participating interest (or the share of costs and oil) to which each party is entitled. Each joint venture party holds its participating interest as an asset on its own books and is entitled to assign the asset (subject to certain controls) and to pledge the asset. It is worth mentioning that the pledge of OML/OPL assets is not typical in Nigeria due to the requirement for ministerial consent and the time it takes to achieve such consent. This is not an RTO in the technical sense where a private company takes over a (dormant) public company. Under this structure, NPDC transfers its rights in the underlying OML in exchange for shares in the indigenous company. The indigenous company would be required to substantially increase its share capital in order to allot the requisite shares to NPDC. This option, therefore, requires a thorough valuation of the assets and the liabilities of the indigenous company as well as that of NPDC’s interest in order to determine the appropriate level of shareholding to be allocated. This process is likely to lead to NPDC holding majority shares in the indigenous companies (hence the RTO) and where the shareholdings of the companies are already relatively fragmented, NPDC would be the largest shareholder by a significant margin. This may raise concerns from the existing shareholders in terms of their ability to influence the operations of the new entity. A number of these concerns may be dealt with by putting in place a robust shareholders’ agreement which addresses voting rights, pass mark issues and other minority protection mechanisms. NPDC may also be concerned that at the end of this process, it would have only transferred assets and not achieved the capacity building objectives of this exercise. This concern may be ameliorated by allowing the process to accommodate the transfer of staff. The transfer of assets from NPDC under this option would require the consent of the Minister, which is unlikely to be a problem, given that this initiative is being driven by the government side. The process may also require the approval of the Securities and Exchange Commission as it is likely to fall under the mergers and acquisitions rules of the Investments and Securities Act. Further, the required increase in share capital by the indigenous companies would incur fees at the Corporate Affairs Commission as well as stamp duty fees. Banks and other lenders to the indigenous companies as well as those of its existing shareholders may also need to approve the transaction under the terms of their existing loan arrangements. A second option which may be utilised to achieve the IJV structure is for both parties – NPDC and the indigenous companies, to transfer their assets and liabilities with respect to that OML to a newly created entity. In this scenario, the shareholders in the new company would be NPDC and the existing indigenous company. The post-transaction shareholding structure should broadly reflect the current participating interest ratio between NPDC and the indigenous company on the asset. This may provide some level of comfort for the indigenous shareholders as they may act as one block, reducing NPDC’s influence as the majority shareholder. It will still be necessary to put in place a shareholders’ agreement which addresses minority protection rights. In adopting this structure, however, there may be concerns about the tax exposure of the shareholders of the indigenous company. Under the current arrangements, the indigenous company pays petroleum profits tax (“PPT”) after which its shareholders may take dividends from the remainder profit. The dividends are not subject to the payment of tax under Nigerian law although the company which receives the dividends may be further subject to companies income tax (“CIT”) on any profits it makes. The addition of another layer through the establishment of this new company may subject the current shareholders in the indigenous company to additional tax, potentially whittling down profits. The transfer of assets from NPDC under this option would also require the consent of the Minister. As the option would require the incorporation of a new company with sufficient share capital to accommodate the assets being transferred, there are likely to be substantial CAC fees as well as stamp duty fees. Banks and other lenders to the indigenous companies and/or its existing shareholders may also need to approve the transaction under the terms of their existing loan arrangements. The process is unlikely to require SEC approval. There are a number of questions which need to be asked around the desirability of the proposed conversion to IJV status. As private sector entities, concerns may be raised around governance of such an institution, incorporation of politics into the affairs of the organisation and public procurement obligations amongst other issues. Even where these hurdles are scaled, the fulfillment of the process requires both NNPC/NPDC and the private companies to think through how to implement the change. That process will not be straightforward and may take a number of years to reach an agreement. During that period, however, the NNPC/NPDC and its joint venture partners must come to an agreement on appropriate structures to enhance the efficiency of these joint venture operations. This means agreeing on alternative finance structures and how operations are managed and this would involve at the very least executing new joint operating agreements.